What a fantastic opening, truly one of the best ever, complete with 10 live Green Taras posing as statues greeting the attendees. Once it was packed with wall to wall people, the Taras came to life and assembled to do some beautiful chanting. Truly inspiring. Was excited to have one of my brand new pieces accepted into the show. 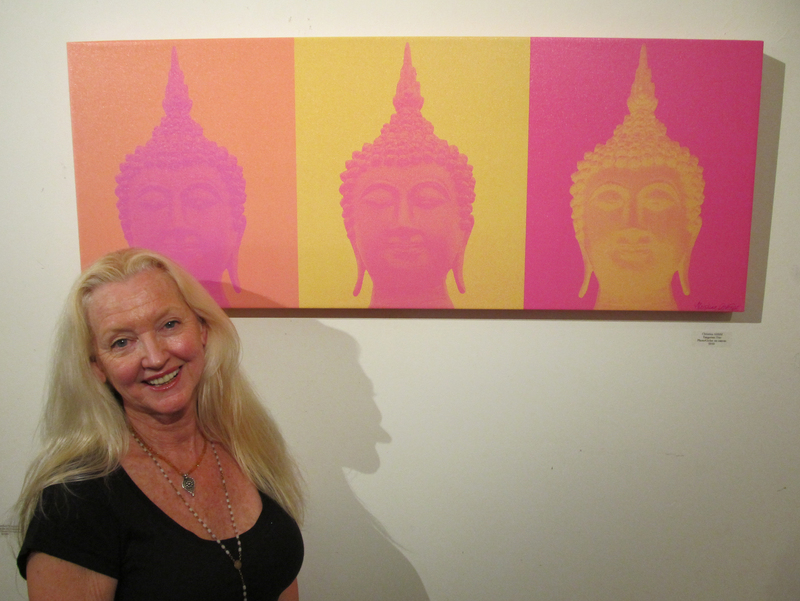 Titled “Tangerine Trio” All in all it was a wonderful reception and evening. Good job Lark! I have two pieces that were accepted this year. Show opens April 28th 5-7pm, at the Santa Barbara Frame and Galley located at 1324 State Street, across from the Arlington Theater. Come and see some original art and take some home with you. 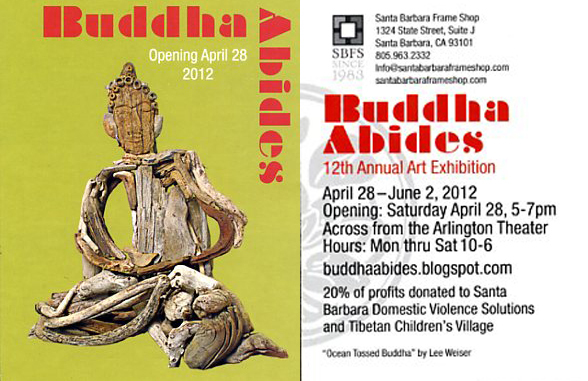 A percentage of profits is donated to Santa Barbara Domestic Violence Solutions and Tibetan Children’s Village. Show will be up until June 2nd. Hope to see you there.